As of October 2017, this tour is currently fully booked. If you would like to undertake a similar trip to take in the beauty of Japan in the cooler months of February and early March, please contact us directly. Due to the luxury nature of this tour we are only accepting a maximum of six people. This reflects the style of the tour and the personal and small group approach that we apply to our trips. 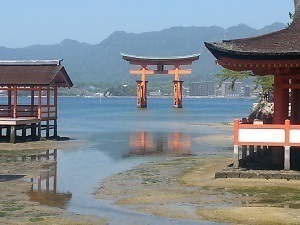 Email us at admin@japancustomtours.co.nz to discuss your specific dates for arrival and departure. Saturday 24th February or 25th February Sunday 25th February Tokyo: We meet you at Narita or Haneda airport. After clearing Immigration, luggage collection and Customs, meet at the exit of the arrivals hall. From the airport arrivals we take the train to Tokyo Station. From the arrival tracks at Tokyo station to the Tokyo Station Hotel is a few minutes. Monday 26th February Tokyo: For the first formal day of the tour we suggest starting the day around 8 a.m. Taking the subway, head to Asukusa and see the Kaminarimon (?Thunder gate?? ), Hozomon and pagoda. An array of stalls lines Nakamise Street (the entrance to this shrine) providing a wide range of souvenirs and snacks on the approach to Sensoji Temple, the oldest temple in Tokyo (founded 645). Start with a visit to the Tokyo Metropolitan building for a bird's eye view of the city from the 45th floor (200 meters up). From there, head to the west side of Shinjuku to the national gardens (58.3 hectares) including an impressive green house and some residual cherry blossom. From the gardens, head to the Golden Gai area of old style bars before seeing Godzilla towering above the night life area of Kabukicho or visiting the small (but interesting) Samurai museum. Tuesday 27th February Tokyo to Nagano: We then head to Ueno which provides some good options and variety for lunch adjacent to the expansive Ueno Park. The park also contains several museums (including Tokyo National Museum) and Tokyo Zoo (the main attraction of which is a giant panda) and the beautiful Tōshō-gū shine that enshrines the first Shōgun of the Tokugawa Shogunate. We depart Tokyo in the afternoon for the trip to Nagano (16:42 departure, arrival 17:46 ? about 220km). This allows for the check-in at the hotel and an evening meal in the city. Wednesday 28th February Nagano: After breakfast, we use the express bus to take us to the Jigokudani Monkey Park. The trip is approximately 45 minutes and delivers us to Yamanouchi, the access point for our walk to the monkey park. There is an approximately 2km walk to get to the ?snow monkeys?. Our usual schedule provides time to watch the monkeys before heading back towards our bus pick-up point. There is time for lunch at Enza Cafe, which has a good variety of lunch options. On the return to Nagano city there is an opportunity to visit the Zenko-ji temple, founded in the 7th century. The temple houses the first Buddhist image in Japan (552CE) and the city grew around the temple. Among the interesting features is the passageway beneath the inner chamber and people search for the "key to paradise" and numerous important cultural properties. Thursday 1st March Nagano to Kanazawa: Continuing our journey across Japan's biggest island (Honshu), we take the Shinkansen train to Kanazawa. The local Omi-cho fresh food market as across the street from the hotel and provides a good option for a fresh sushi/sashimi lunch. After lunch visit the beautiful Kenrokuen Gardens (one of the top three gardens of Japan) and Kanazawa Castle. The city also boasts the 21st Century Museum of Contemporary Art which is also an option. Friday 2nd March Kanazawa to Takayama: Departing Kanazawa, we make the journey back into the Japanese Alps to Takayama, a small mountain town. The afternoon is available for exploring the town, its historic/preserved areas or visits one of the different small museums or temples scattered around the town. Takayama is famous for its wood-working and its float festival. A visit to the float museum is a typical stop on our tours. The famous local dish is Hida beef (similar to Kobe beef) and this is a good option at a local bbq restaurant. Saturday 3rd March Takayama to Kyoto: One of the nearby attractions of the area is the unique steep thatched-roofed houses (gassho style) at Shirakawa-go. We will use the morning half day bus tour as it is more convenient that getting the local bus and delivers us back to Takayama town by noon. After lunch we leaving Takayama on the 1:30 p.m. train we take the scenic trip back through the mountains to Nagoya and the short leg to Kyoto for an evening arrival. Sunday 4th March Kyoto: Visit Nijo Castle (the palace buildings are one the best surviving examples of castle palace architecture of Japan's feudal era). Due to the timing, the plum grove at the castle should be in bloom. From Nijo we had to the "Golden Pavilion" Kinkaku-ji in the north-west of the city which typically takes us to mid-day. Travelling by taxi, head to the beautiful Arashiyama district for Togetsukyo Bridge and enjoy the view across the Oi River (Katsura River downstream of the bridge). Having a leisurely boat ride on the river is an option. 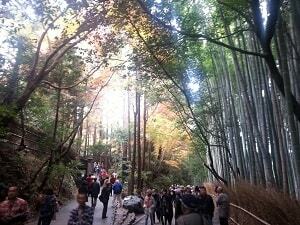 Arashiyama is also famous for Sagano bamboo grove and its temples. Tuesday 6th March Kyoto: To experience one of the most important cultural and historic places in Japan, we visit Nara, Japan's first capital. At Nara is Todaiji Temple which houses the world's largest bronze Buddha in the world's largest wooden building. Many of our guests love seeing the deer roaming around the park and being able to feed them ?deer biscuits?. Thursday 8th March Hiroshima to Kurashiki: The morning is available to visit the Peace Park and newly opened wing of the Peace Museum. The recently renovated building and exhibitions provide a useful contrast to the Nagasaki peace museum. For the afternoon there are two travel options (can decide later). One is to head direct to Okayama by bullet train before taking the local like to Kurashiki. The second option is to take the slower coastal route that would allow a stop at Kure for the Yamote battleship museum. The main attraction at Okayama is the Korakuen (garden), a beautiful landscape garden and is ranked as one of Japan's three best landscape gardens. 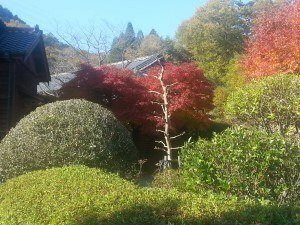 It is located just beside Okayama Castle. The main building of Okayama Castle is the six story castle keep, and while the keep's interior is modern there are exhibits on the history and development of the castle. The prefectural art museum and Orient museum are also in this area. At Kurashiki we stay in the picturesque canal area of the town and the beautiful Kurashiki Ryokan (includes dinner and breakfast). While Kurashiki is only a short local train trip from Okayama station, access to the ryokan from the local station would be via taxi due to distance (approx. 1 km). Friday 9th March Kurashiki to Osaka: After breakfast and time looking around the local area, take the train back to Osaka for an afternoon of sightseeing. Initially we will head to the Namba area as it has many restaurants and ?bright lights? of Osaka City (a very popular destination). Suggested locations include Osaka Castle and the castle park, the nearby history museum. We have guests leaving from Kansai Airport, but options are available to stay in Osaka or transfer back to Tokyo. Saturday 10th March Osaka to Tokyo: Transfer back to Tokyo and final time in the city before transfer to the airport on either the Saturday or Sunday. The price for this tour is from Y695,000 per person share twin/double. Shorter or longer duration is also available. This is higher than our usual tours, but includes some first rate/exclusive luxury accommodation that we do not usually include on our regular tours. Superior accommodation: The Tokyo Station Hotel, Sheraton Hiroshima and Kurashiki Ryokan are top properties and we do not book the cheapest room categories for our guests. The rooms we choose at Kanazawa are excellent and the Metropolitan in Nagano is rated the best in town while the Kyoto Century we find reliable and comfortable for our stays in Kyoto. Breakfast included with the hotels. Dinner is included with the ryokan. Airport transfers, all train/subway travel (including high-speed trains), and local transport. For Kyoto we make extensive use of taxis to get around the city, and for the ? day in Osaka that will also be an occasion where some taxis will come in handy. Price also includes transport to/from the monkey park and Shirakawa-go. Luggage storage ? there will be several points along the route where coin-lockers will be used to hold suitcases. Not a major item, but included. Use of our wi-fi hotspot (we carry portable units so you do not need to rent one). Entrance fees for things like temples, shrines, castles, museums and gardens. Lunch, dinner and incidental costs are usually excluded unless specifically included. As a guide for budgeting, Y7,000 per day per person would cover lunch and dinner as well as a range of tea/coffee, snacks and vending machine drinks during the day. If you are interested in joining this tour, please contact us or email us directly at admin@japancustomtours.co.nz.